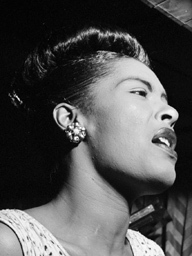 The Real �Lady Day� Sings The Blues. 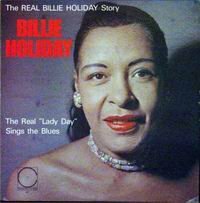 Album The Real �Lady Day� Sings The Blues. The Real “Lady Day” Sings The Blues. A2 Them there eyes 1949-Aug-29 MT W75204-A Decca 27145 2'50"
B4 Detour ahead 1949-Sep-10 TV - Dale LP 25 / LDB.06 / JUTB 3038 2'18"
B5 Don't explain 1945-Aug-14 MT W73006-A Decca 23565 / AJ504 / Everest FS-265 3'24"